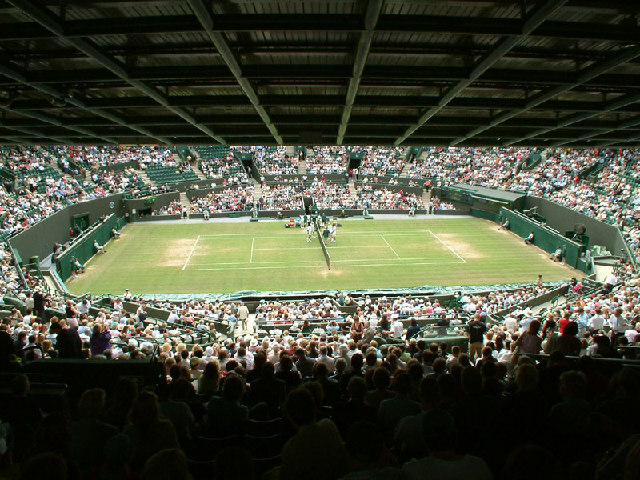 Who is more likely to win the 2012 WImbledon Tennis Championships? You are here: Home / 2012 Tennis Season / Who is more likely to win 2012 Wimbledon ? Who is more likely to win 2012 Wimbledon ? There is just one more week from the release of the 2012 Wimbledon draw. This is when all the round-by-round predictions typically come up, but really, is each round worth predicting? I am confident that one of the “BIG 3” will be the 2012 Wimbledon champion…again. Roger Federer, Novak Djokovic, and Rafael Nadal have all won Wimbledon, with Novak being the most recent defending champion. Who is more likely of the 3 to take or keep the title this year? By the numbers, grass is better suited for Roger Federer, he leads the other two with more than twice the amount of wins on the surface, and if you have ever seen Federer play on grass, you know that it is an art form. Federer has 11 titles on grass, Nadal 3, and Djokovic has only 1. It’s clear that Federer is favored by numbers; however, Roger is the older player and has had plenty of losses to the aforementioned players the last couple of years, does this make him the favored 2012 Wimbledon Champion? Maybe. Federer is, like Nadal and Djokovic, is chasing history, if Federer were to win just one more Wimbledon title, he will tie Pete Sampras’ 7 Wimbly titles. Winning 2012 Wimbledon, I believe will give him the fuel to make a serious run at the #1 spot of the ATP. Nadal, who is coming into the 2012 Wimbledon with his record seventh French Open title, has the momentum to make a decent run to the finals again this year. Rafa’s chances are pretty good though, I mean, he was the finalist last year, won it the year before (2010) and he’s faced and won Federer in the finals before as well. Grass courts, are not the favored surface for Nadal, even though he has a better win percentage than Roger and Novak (.828 grass court win percentage); still, Nadal’s optimal surface is clay (RED CLAY to be more specific). If Rafael Nadal is healthy, he has a good chance of winning 2012 Wimbledon. I cannot forget about Novak Djokovic, the 2011 Wimbledon champion, out to defend his title. Nole was on fire last tennis season, only losing 2 matches; he’s confident, has the ability to win, though grass is the surface that he plays on the least. In some ways Djokovic can be lethal on grass, though most times he struggles on the green stuff. Djokovic, has played and won much less on grass than both Nadal and Federer; totaling only 49 matches, 38 matches won, and 1 title. Basically, on paper, Novak Djokovic is less of a threat of winning 2012 Wimbledon. In the end, who is more likely to win 2012 Wimbledon Tennis Championships? The title is pretty much up for grabs, though I will heavily favor Roger Federer to win 2012 Wimbledon. I might, however, change my mind once the official 2012 Wimbledon draws come out on June 22nd, 2012.
Who are you guys and gals favoring to win the 2012 Wimbledon Championships?